Bug out bags are essential items for any survivalist. Deciding what to put in your bag can be difficult. Each person has different needs and requirements. You may have a large family, or you could be a single person, prepping for the future. A bug out bag is meant to carry items to allow you to survive for 72 to 96 hours when you evacuate due to emergencies. There is no right or wrong answer to the items you include! Some people have multiple bug out bags for different scenarios. You may have one particular scenario in your head, or you may want to be prepared for anything you encounter. No matter the purpose of the bag, there are some items I consider essential and have in all of my bags. CRUCIAL TIP: Your bug out bag must be made according to YOUR climate and region. If you live in a region that has frequent snowfalls, you must take that into consideration. I live in Ohio, so my list may be vastly different compared to someone living in the South! Other considerations are your age, the number of people in your group and any medical conditions. All of those factors will determine the items you pack in your bug out bag. The elements can kill quickly if you are left in them. You don’t need a fancy tent in your BOB. In fact, a huge tent will take up too much space in your bag. The shelter can be anything from a one-person tent to a poncho that can keep the rain off your body. Some people include tarps if they have space in their bags. All too often, preppers include things like food and fire starting devices, but they forget how quickly the elements will kill you, so be sure to put it at the top of your list! Blankets or a sleeping bag go right along with the idea of shelter. Blankets keep you warm to help reduce hypothermia. Depending on the bag you pick, you might be able to tie a sleeping bag on the exterior of the bag. Some bags include straps for this scenario. Wool is another choice because it retains heat. However, wool blankets are heavy, so many survivalists opt not to include them. 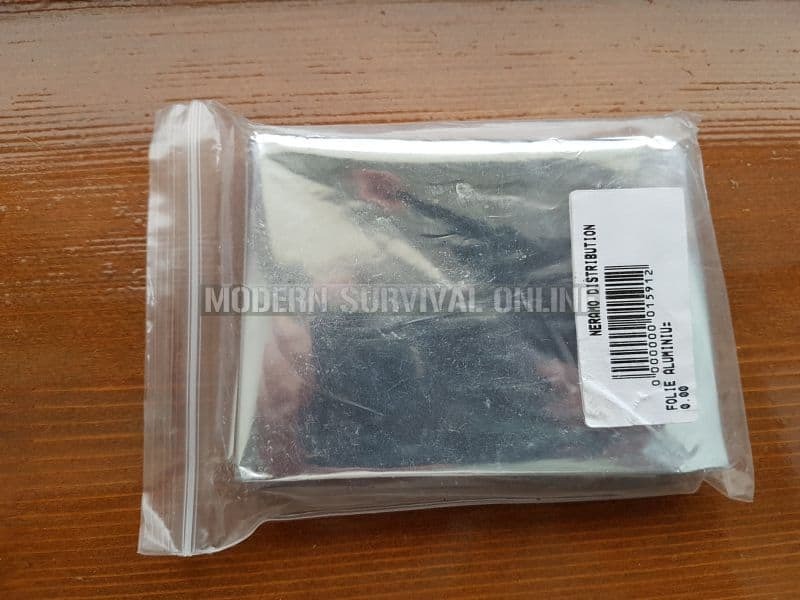 Something we keep in our bug out bags are hand warmers, also known as Hot Hands. They can add extra warmth to your blanket if the temperature rapidly drops. Plus, Hot Hands are rather small and compact, perfect for a BOB! Emergency Mylar blankets come in small baggies and are the perfect choice if you are running out of space in your bag. They can hold in the heat during an emergency, and the package is very small. You can keep multiple Mylar blankets everywhere, including your car! Box of matches – waterproof ones are the best! Starting a fire is tricky at times, such as after a hard rain or during windy conditions. Some people like to include extra things that get fires started like candles and cotton balls. Water sources might surround you, but that doesn’t mean you can safely drink from those sources. Learning how to filter water is an essential skill. In your BOB, you have to include ways to safely filter water for each person in your group, whether you are alone or with your family. There are a few choices to consider. I keep a personal straw filter for each person in my family. The LifeStraw Personal Water Filter is our favorite; each member of our family has one. They are an investment, but you can find them on sale if you are on a budget. Sawyer Mini Water Filtration System allows you to drink from a bottle of water, filtering it as you drink. Plus, it is rated up to 100,000 gallons of water, which is impressive. Another choice is a bottle that filters water when you add in the water. Find one that clips right onto your BOB! The LifeStraw Go Water Bottle filters 1,000 liters of water. The other choice would be to purchase bottles of water purification tablets. These tablets are cheap, allowing you to purchase dozens of bottles for little cost. When using tablets, you have to wait 30 minutes, on average, before drinking. Everyone needs to have a multi-tool in their bag. While you also might want to carry a separate knife, multi-tools have everything you might need in one place. They allow you to keep everything in one place. The only thing I do suggest is that you invest in a nice multi-tool, such as the Gerber Suspension, which has 11 tools. Most survivalists opt to carry a knife with them. A larger knife can accomplish dozens of tasks like cutting weeds and kindling for the fire. A knife is also an essential tool for skinning and butchering animals if you hunt. The Gerber Bear Grylls is made with carbon featuring a serrated edge. It is a highly-rated choice. You can do like our family and opt to carry a bit of everything. We have knives and multi-tools. However, if I had to pick just one, I would always pick a larger knife! Identification won’t help you prevent a disaster, but they may be a lifesaver. Someone might find you and, in order to give you first aid, they could use whatever personal info they could find about you (blood type, allergies etc). Or, you need an ID to get into your bank account and access any of your assets. Luckily, identification doesn’t take up much room in your bag. Ideally, you will have 72 to 96 hours of food stored in your BOB. To keep your bag itself light, you don’t want to pack any mason jars. However, you can put a few small canned goods from the store. Think of your calorie count and blood sugar, which may drop after long periods of walking. Food like chocolate and dried fruit has high calorie and lots of sugar, perfect if you start feeling a bit lightheaded while walking. Both of those foods can increase your blood sugar, and chocolate contains caffeine which can give you a boost in energy. When considering the food you are packing, think about the calorie intake. Chances are you will be on the move a lot, burning 4,000 calories or more depending on the temperature. Each person needs at least 2,000 calories per day in their bag. If you have a nursing mother in your group, add 500 calories extra to her bag! I often have a nursling, so I must remember to pack extra calories for myself. Including a first aid kit in your BOB is a clear must-have item. You never know what you will encounter. Unfortunately, you have to be selective about what you include, unlike your medical kit at home which can be extensive. What do I include in my BOB medical kit? Here are my top picks! Sunblock, because you don’t want a sunburn at this time! The list of things you could include in your BOB first aid kit is endless, but you have to keep amount down to reduce the weight. 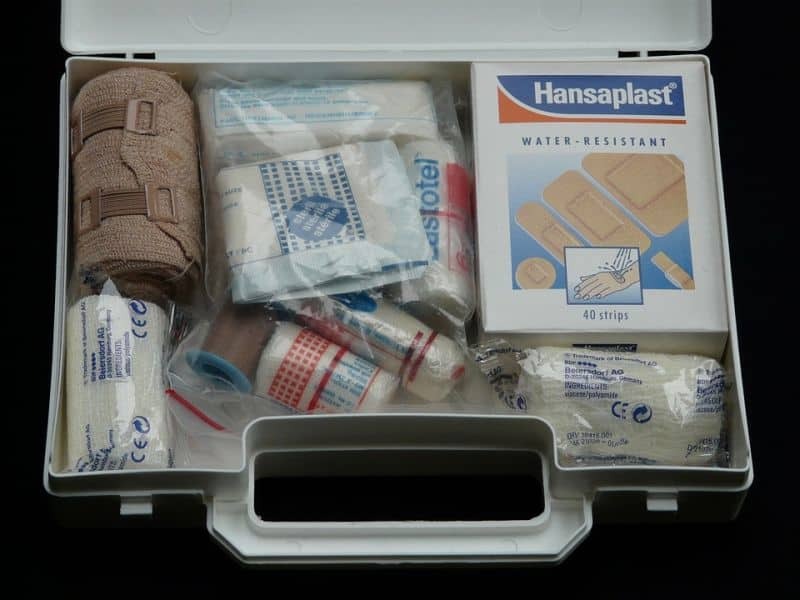 It can be hard to decide because you always think “what if I need that.” Pick the items you think you will need the most and stash a larger first aid kit at your bug out location (if you have one). Unless you have small children with you, don’t pack too many clothes for you. They will weigh down the bags. I always keep a lightweight jacket with me (unless it is winter time), but you can tie that around your waist or bag itself. You should also include a simple change of clothing, such as clean underwear, shorts or pants, and a shirt. I also keep additional socks in my bag in case my feet get wet. Careful: wet feet can lead to hypothermia in cold regions. If possible, bring along an extra pair of shoes and thick socks, such as wool, that wick away moisture while keeping your feet toasty warm. Germs travel quickly during a crisis. You protect yourself and your family, sanitation should be of utmost importance to reduce infections. A roll of toilet paper is easy to include in the bag. Hand sanitizer is a must for every person in the group. Soap and mouthwash for each person help to reduce the spread of germs. For dental care, you should include floss, a toothbrush and toothpaste. Females and babies have other considerations as well. Females must have sanitary napkins and tampons stashed in their bag. Bacteria can spread quickly. Tampons without applicators are smaller, but you must use hand sanitizers BEFORE and AFTER use. Sanitary napkins can also be used in a first aid scenario as a dressing. If you have a baby in the group, you know that diapers are a must. Depending on your plan, there are a few things you can do. Pack as many disposable diapers and wipes as you can fit. Don’t forget diaper rash cream which is beneficial for everyone in the group! Use cloth diapers. With cloth diapers, you will need to find a stream to wash them out in often and leave to dry. We use cloth diapers in our regular life, disposable diapers for the BOB and cloth diapers stashed in our final location plan. Survivalists love paracord. You can find lanyards, bracelets and keychains made from paracord, making it easy to keep on your body at all times. 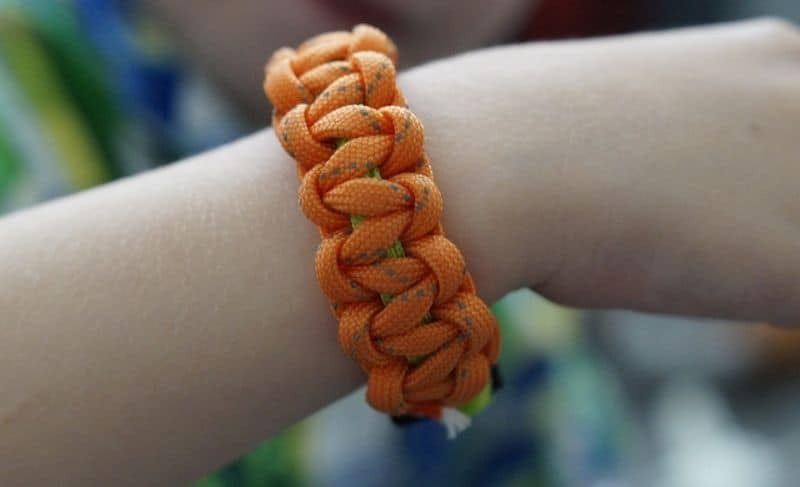 Here are a few ways you can use paracord. Make a sling for a broken arm. Hang tools from your belt. Use inner threads as fishing lives. The possibilities are endless. You want paracord 550, meaning it can hold up to 550 pounds. If the grid goes down, cellular devices will not work. How are you supposed to know what is happening? The best thing you can take with you is a portable radio with short wave receiving capabilities. You can use this to listen to advisories or the news to let you know what is happening. Another great addition to your bag is a pair of walkie-talkies. If you are in a group and need to split up, walkie talkies allow you to stay in contact and let each other know if you need any help. Having a light source available is a great thing for a BOB. While a lantern is nice, they take up too much room in a bag. 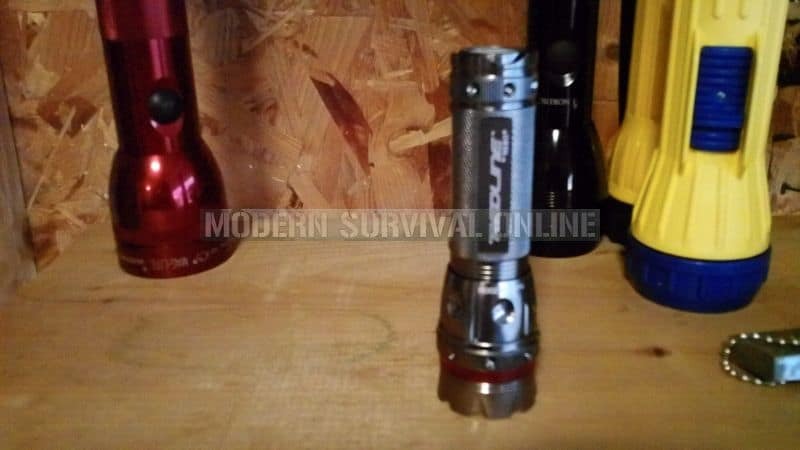 The flashlight you pick should be durable; aluminum is an ideal material. Brightness is a factor. LED lights, even if they are small, light up an entire campsite, making them a great choice. Remember to pack extra batteries for your flashlight. AA batteries are the easiest to find and cheap. It is a good idea to try to line up your items to all take the same batteries. You don’t want to carry several varieties with you. Hank crank is a definite plus, because you won’t rely on batteries anymore. You already need a knife, so why do you need a firearm? 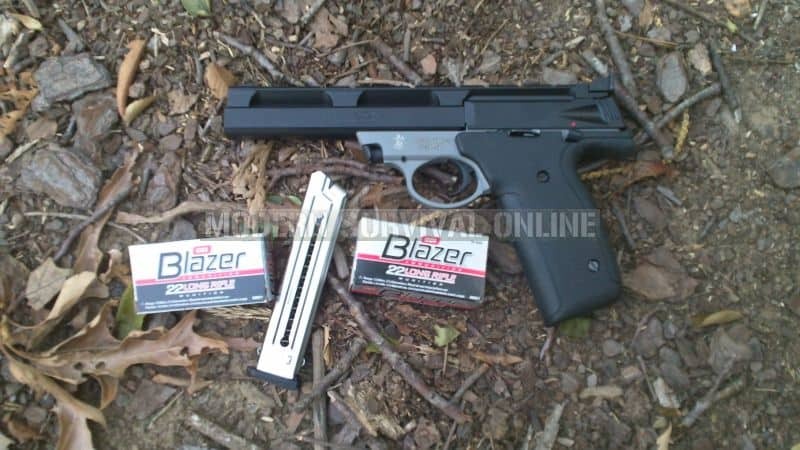 There are two reasons you want a firearm with you in your BOB. First, it provides protection. In the event of a global emergency, people will be in a panic. People will attack each other if they feel it will benefit them. You don’t want to be the person they take down. Second, firearms are beneficial for hunting. If you go through the 96 hours of food and still have yet to find a location to stay, a firearm allows you to hunt for your food. Depending on your region, you do want to make sure you are using the correct caliber to take down the game in your area. Firearms should only be with those who are trained to use them. In the wrong hands, firearms are a threat to a group. Ensure only trained individuals and adults have access to the firearms. Duct Tape can fix nearly anything, which is why you want it in your BOB. If you need to fix a tarp, duct tape is the answer. If your boat has a hole, you can patch it with duct tape. For its size and weight, duct tape is a must have item. The possibilities are endless. Some people do prefer Gorilla Tape, claiming that it is stronger. This list is far from exhaustive. If you have extra room in your bag, you can include things like fishing line and lures, a deck of cards (for boredom), a sewing kit, and a camp ax. The list of possibilities is endless. Remember, bugging out should be the LAST resort. You want to try to bug in for as long as possible. Pack your BOB according to what you need in your region and your family. What items do you consider essential for your bug out bags? Let us know in the comments below. As you said, the list is far from exhaustive and every item should serve a purpose however, its a great start. Well done! So many people want to be prepared but don’t know where to start or what “the basics” means when considering bugging out. Those things aside I’d say that an axe of any proportion shouldn’t be an option, its a necessity. Fire can be the difference between life and death some times and having the ability to process wood quickly saves calories. Fire also provides comfort, light, heat, the ability to heat food or water (purification option), and security. Yes, it can give away your position and invite unwanted guests, but once you pass 72-96 hours the S has really hit the fan. Coupled with your firearm and knife, its a force multiplier. Even a small camp axe adds 12 inches to your reach and is a powerful weapon if it comes to using your hands to defend yourself. Also, I don’t believe the Bear Grylls is all its “recommended” to be. A serrated edge is dandy, but its cheap. Get a good quality knife, get or make it sharp, and take care of your edge. The Cold Steel Tanto is a cleaver of a knife, and my personal recommendation. Yes…its a big knife, but who carries just one. The biggest thing,is find the knife that’s right for you and your needs. A large knife in an unskilled hand is dangerous. Go to places that sell knives and put your hands on them. See what “fits”…both your hands and your budget. Be picky about this purchase. Also I (and almost all in my group) carry a folding knife and a fixed blade knife daily or have it on/in our BoB/EDC. The last things I’ll add are the simplest of them all. First off one way of starting a fire isn’t enough. I suggest at least two if not three ways to start a fire…with one being primitive. And, finally, practice, practice, practice. Find a park, pack up, and walk a few miles with your bag. See how it feels. Take an overnight camping trip and only use items found in your bag (have replacement items in a box ready to restock or restock and use what was in there). 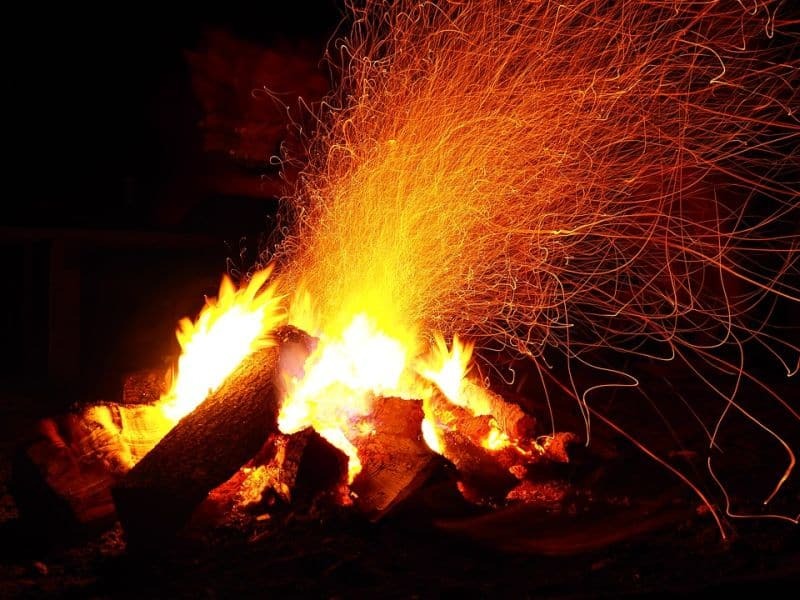 Build a fire using your fire building “kit” (in a safe place and minding all local burn laws), and learn and master a primitive fire making technique. When it’s your A on the line, you’ll be happy to have one more tool in the box.